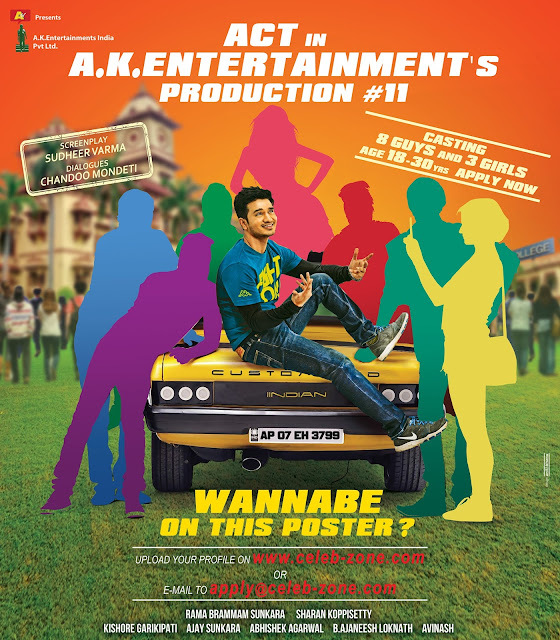 Here is an exciting chance to be a part of the most happening young actor Nikhil's new film to be produced by successful banner, AK Entertainments. What's more exciting about this movie is Sudheer Varma has provided screenplay and Chandoo Mondeti is penning dialogues for this youthful romantic entertainer, directed by debutante Sharan Koppishetty. If you are an aspiring actor, passionate about films, upload your profile at www.celeb-zone.com or email to apply@celeb-zone.com. Don't miss this chance to be a part of this crazy film. Send your profiles. Who knows, you can be the next big thing in Tollywood.